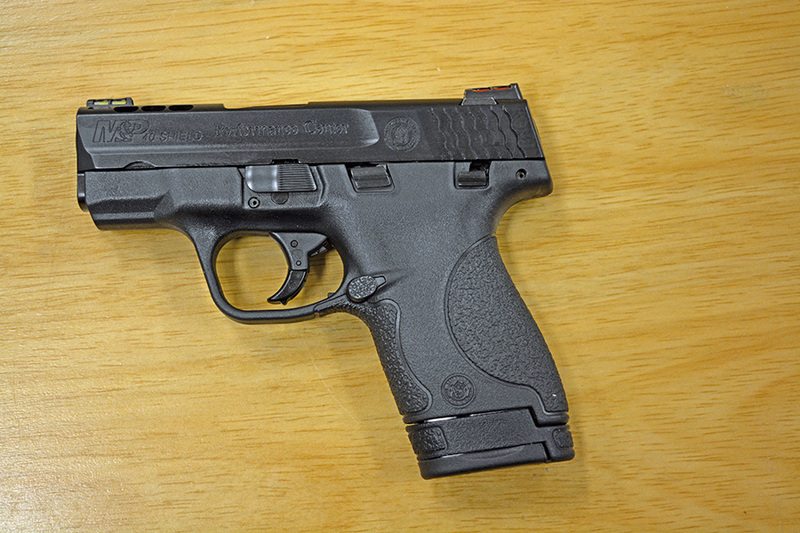 Smith & Wesson M&P Shield is a relatively recent addition to the small gun series. It is one of the smallest 9mm pistols, probably the smallest 40S&W pistol, it is relatively inexpensive, and available in many modifications. 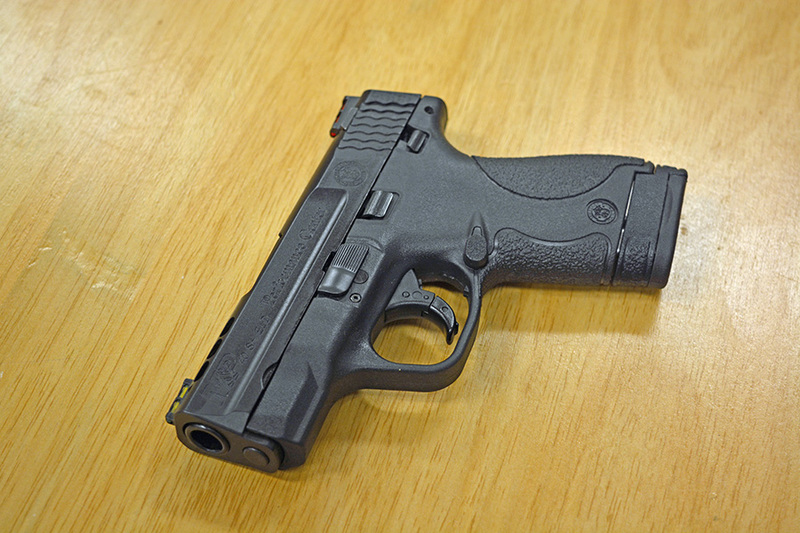 Now wonder it is one of the most popular self defense pistols in our store! I like to own what I sell, and I have been selling a lot of Shields - so when a Performance Center in 40S&W popped up at the distributor, I got 2 for the store, and one for myself. Performance Center is Smith & Wesson's custom shop, and the custom features of the gun included a serrated sights with fiber-optic inserts, custom trigger (standard M&P triggers right out of the factory are very gritty; they wear in with time), and ported barrel which is supposed to help with the recoil. 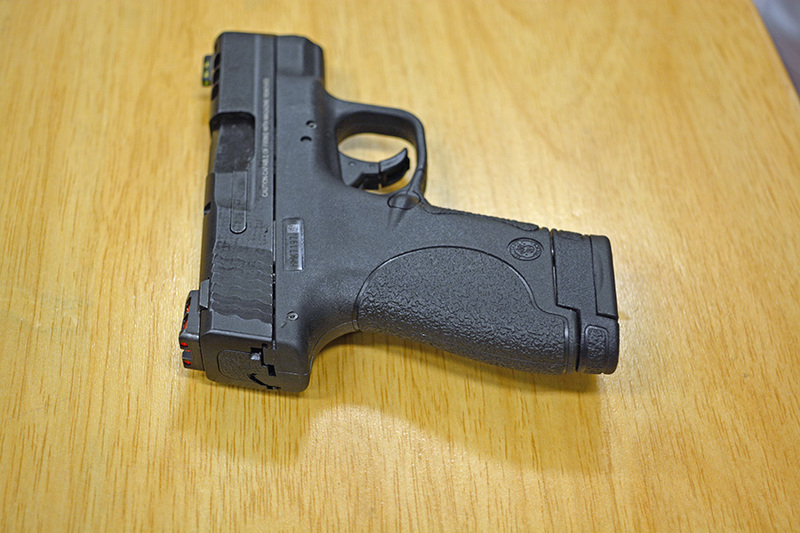 The gun is very light, weighing just under 18oz - just over 500g. 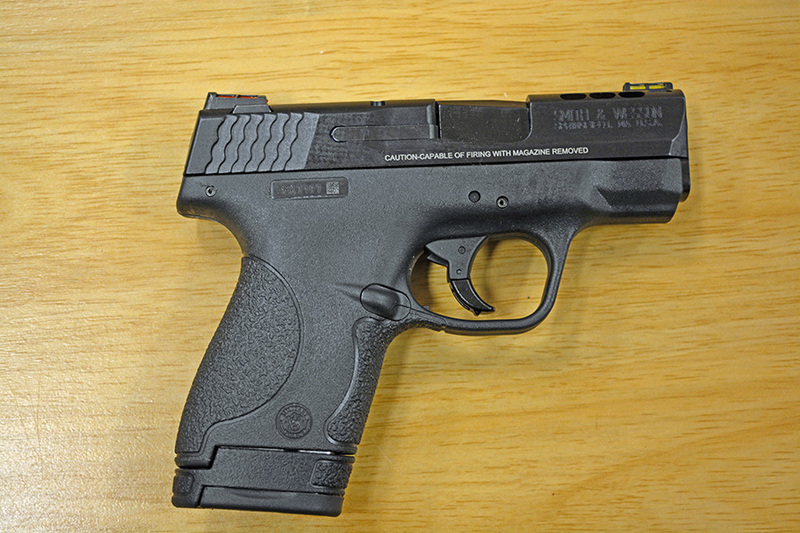 Being a Performance Center gun, the trigger is crisp and light, at only 5.5lb. I chose the version with thumb safety because I like redundancy in safety (and also because this is how Performance Center guns come). I shot the gun from semi-supported position - my hands were resting on a support, but the gun was not touching anything but my hands. 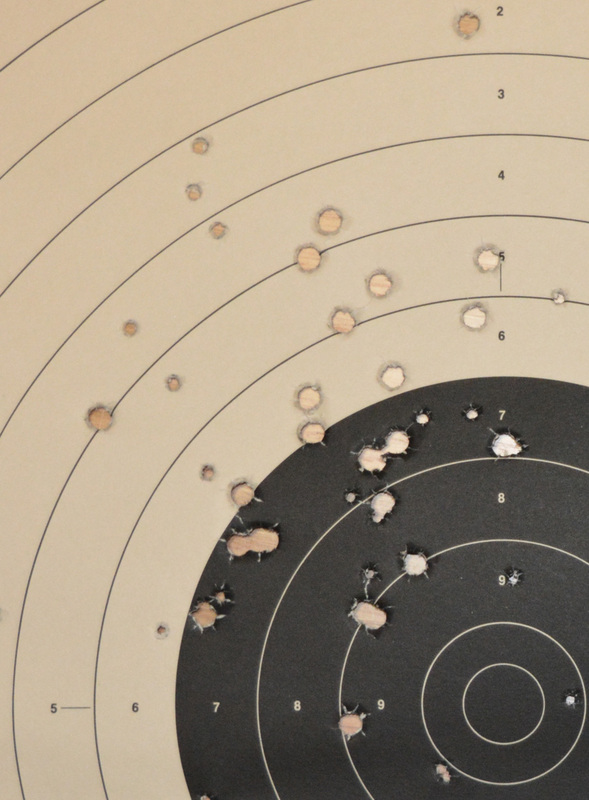 The recoil was actually not bad - definitely spirited, the gun jumped in my hands, but not nearly to the point where you would be afraid of losing the accuracy. Very tolerable. Less than majority of blowback guns in smaller calibers such as 380 or 9x18 Makarov. 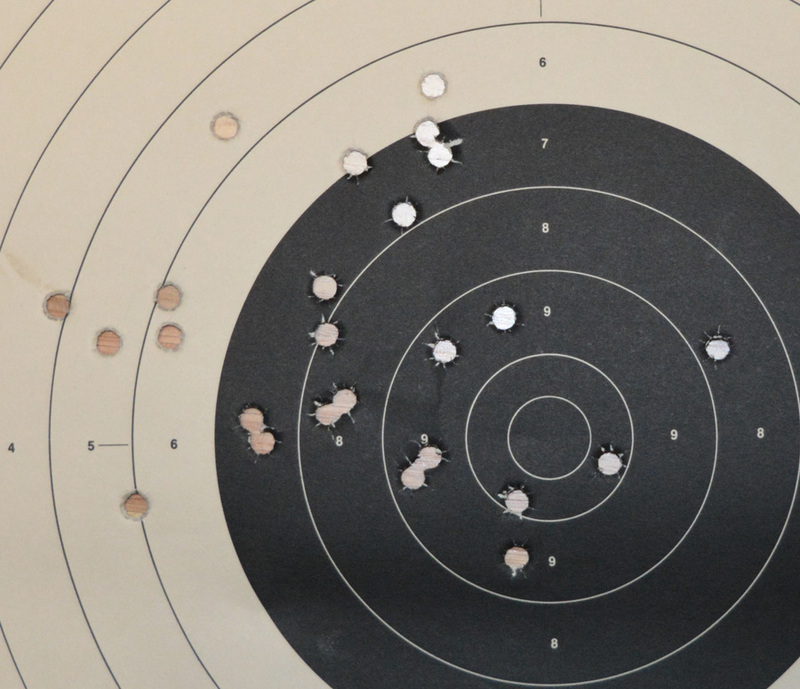 On the same day I shot a 9mm Performance Center Shield owned by a friend, and the recoil was essentially non-existent - not dissimilar from a 22LR gun. 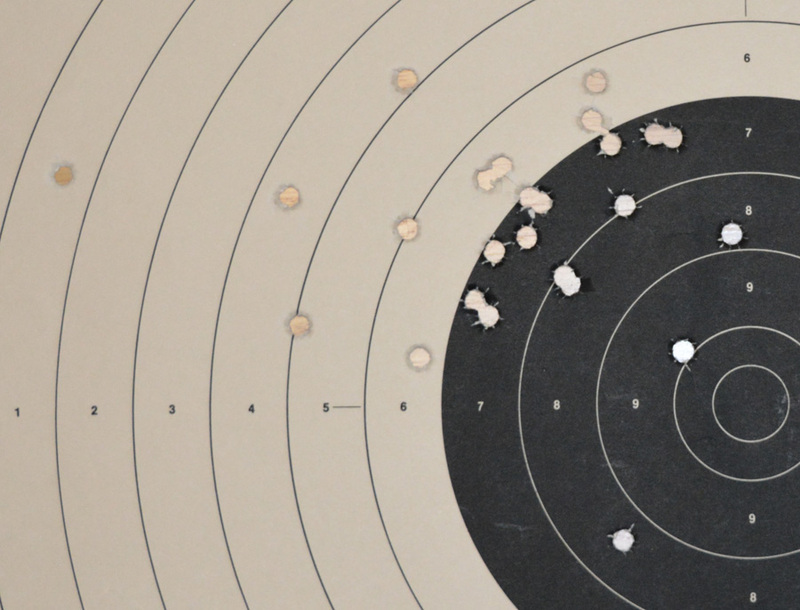 I have fired a total of 75 rounds from Federal, Winchester, and CCI, and there were zero problems - the gun was 100% reliable - though I always put only 5 rounds in the magazine at a time. 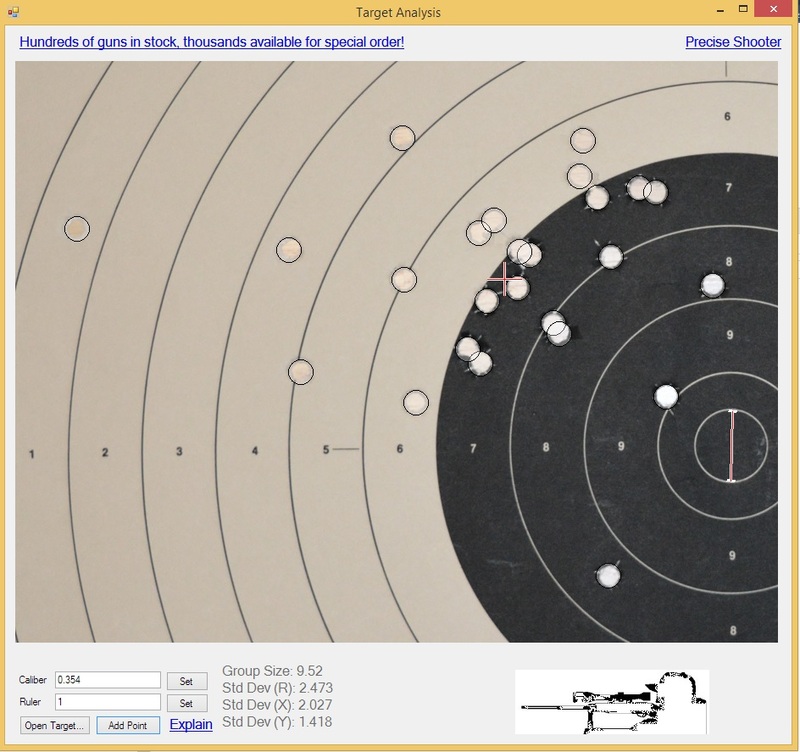 The shooting was at 25 yeards, and a standard NRA 25y pistol target, with the six-o-clock hold (point of aim just under the black of the target). Three types of ammunition were used, 25 rounds of each were fired at each target. 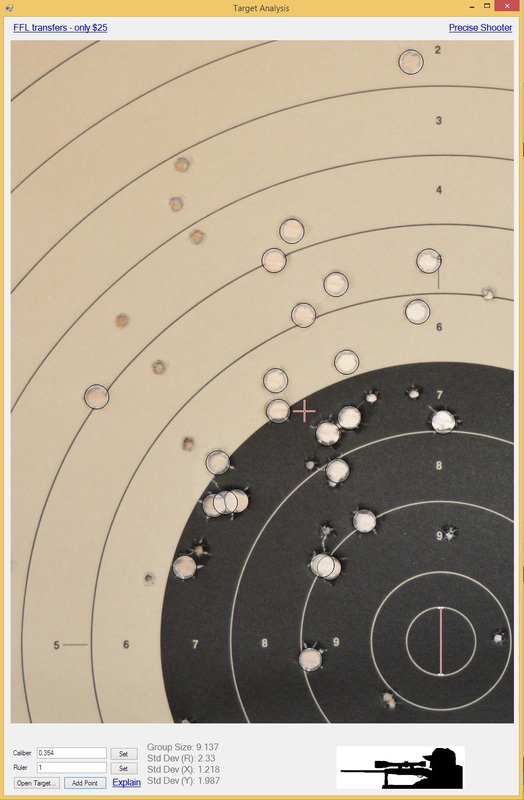 Ignore the 22lr shots on this one, I did not want to wait for a ceasefire and reused one of the abandoned targets. 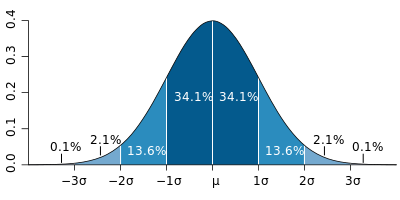 As you can see, the standard deviation is roughly 2.5" - meaning that 95 out of 100 shots will be within 5" radius circle at 25 yards, and only 0.2% of the shots - 2 in a thousand! - would be more than 7.5" away. 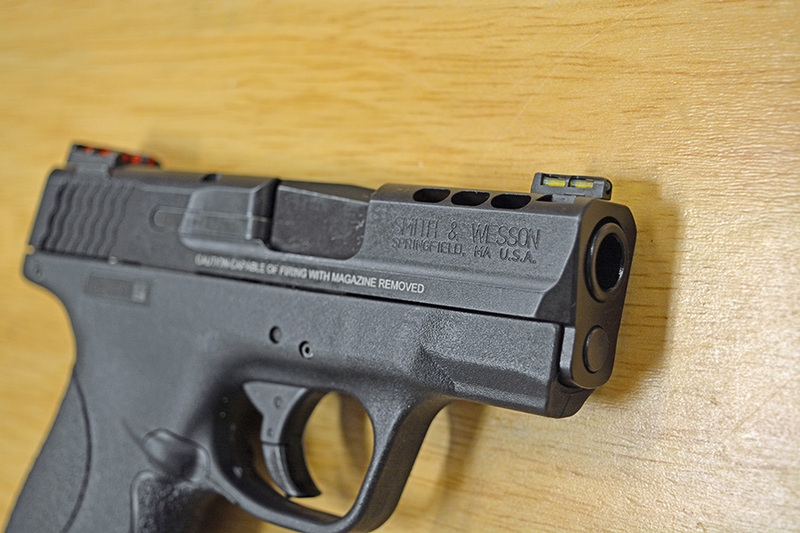 Check out our collection of Shields and all other S&W guns here! 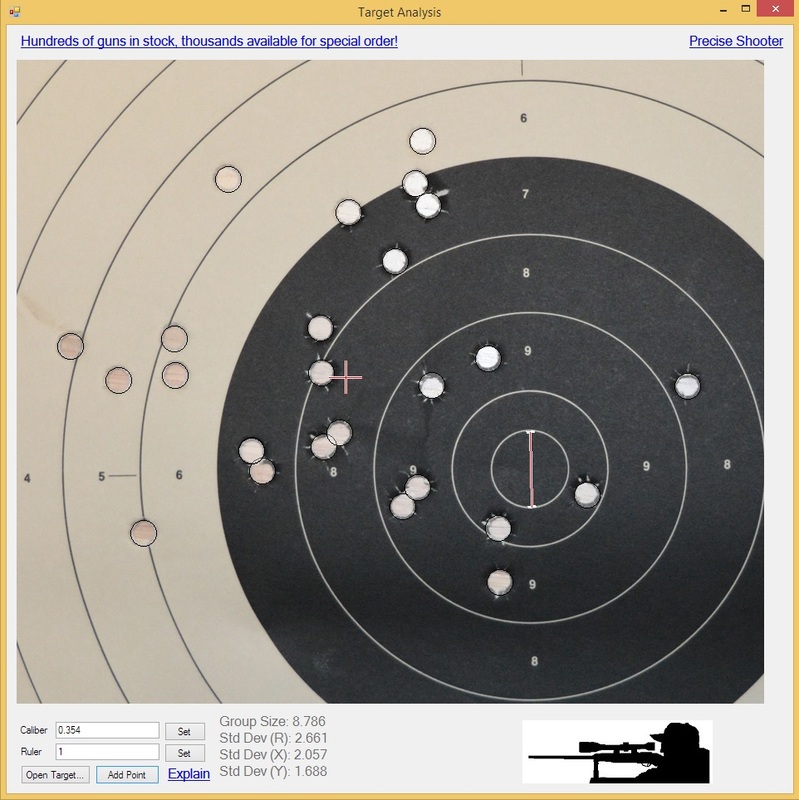 The groups (of 25) that I fired were around 9", thus keeping most of the shots with the properly adjusted sights would be in the black. Overall, I quite liked the gun. 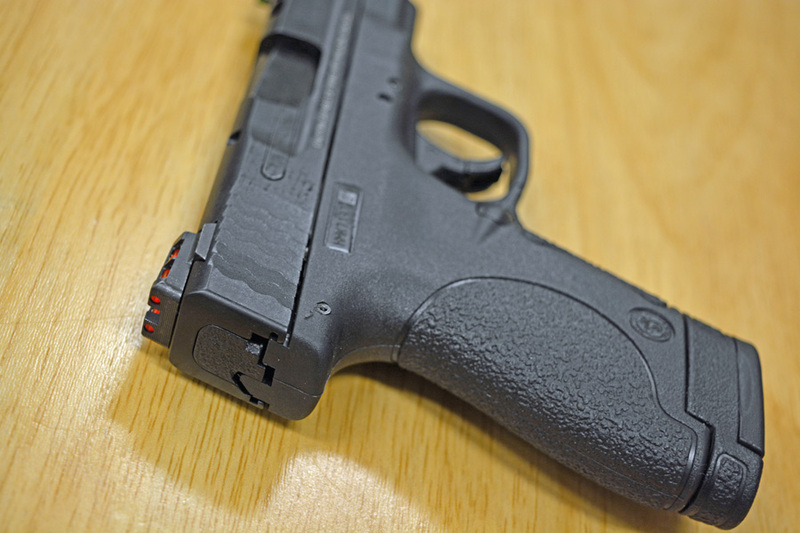 Though Performance Center was a big deal - much better than unmodified Glocks, for example - most M&P triggers become as nice with wear - one of the reasons why I like S&W surplus pistols. The gun can definitely be a great carry piece, and a nice hiking companion in a cougar or even a black bear country.